MHEBB - Signtex Lighting Inc.
Our extremely popular MHE is now available with its own integral battery! 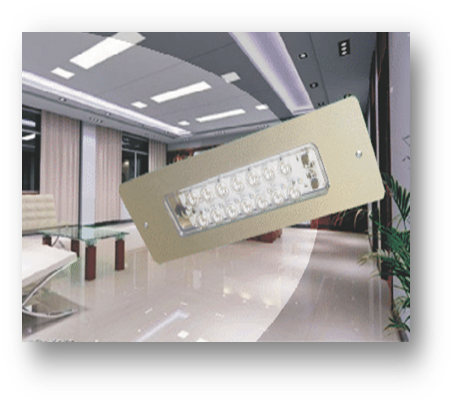 A powerful LED fixture designed for low profile recessed ceiling mount. Suitable for heights over 30 ft from floor level. Dual function operation in either emergency or normal mode. Perfect for gymnasiums, warehouses, auditoriums or anywhere high output EM lighting is needed. Wide angle lens option available. Click here for more information on MHEBB.